You've invested time and money in your flooring choices in each room of your house. To get the most from that investment, you want to make sure you take care of your floor. Central Indiana's flooring experts at Kermans Flooring have some tips to help you out - just in time for the holidays! 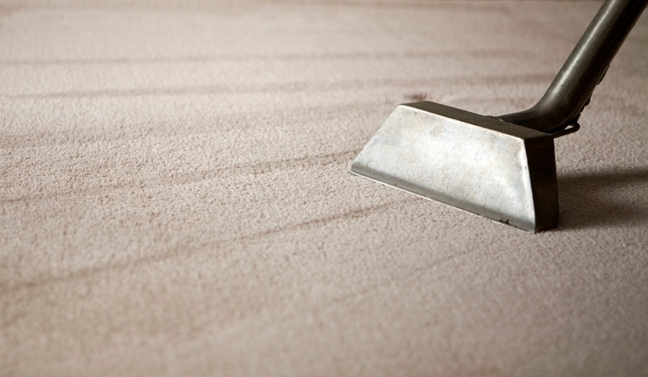 The most important thing you can to do extend the life of your carpet is vacuum regularly and thoroughly. Heavy traffic areas can benefit from daily vacuuming where lighter traffic areas are fine being vacuumed twice a week. We also recommend that you have your carpet professionally cleaned every 12-18 months. Read more cleaning tips in our online Carpet Care Guide. You might think that hardwood is difficult to maintain, but today's finishes make hardwood floor easy to care for. The number one cleaning tip for hardwood? Sweep daily to remove any dirt or debris that can scratch the floor. For that same reason we recommend taking your shoes off when you enter the house so you're not tracking dirt on your floor - a good tip for any flooring type. You should also invest in a good micro-fiber mop to dry mop your floor weekly. Read more cleaning tips in our online Hardwood Care Guide. Area rugs tend to become more beautiful as they are broken in. As you walk on your rug the layers of pile will start to break resulting in a shinier, smoother appearance. That doesn't mean you shouldn't clean your area rug regularly however. Vacuum your rug just as you would your carpet (see tips above) and when it comes time for a deeper cleaning, bring it to the experts at Kermans. Read more cleaning tips in our online Area Rug Care Guide and learn more about our expert area rug cleaning service. We saved the easiest floor care for last - tile. Wipe up spills and sweep your tile floor regularly and you'll have an amazingly durable, beautiful floor for years. The most common question we hear about tile maintenance is "What about cleaning the grout?" We recommend mixing a capful of rubbing alcohol in a gallon of warm water and using a bit of elbow grease to keep your grout looking new. In need of a deeper clean? Kermans has specially designed grout cleaning products. Read more cleaning tips in our Tile Care Guide.